How important is history for migrant children’s identity? In October 2018 I conducted a preliminary quantitative research amongst the students of two Viennese middle schools with an unusually high percentage (well over 90 percent) of students with immigrant background. Over 400 students aged ten to fifteen anonymously took part in a survey consisting of eleven statements about historical identity and its socio-cultural contexts. Do Children Have No Historical Identity? In his 1944 essay “The Stranger,” Alfred Schütz – himself a Jewish immigrant and fervent advocate for displaced persons from his German home country – postulated that the lack of a common historical identity constituted the hardest challenge for true cultural understanding between “the immigrant” and “the culture of the approached group.” The history of that group, Schütz mused, “has never become an integral part of [the immigrant’s] biography as did the history of his home group. […] Graves and reminiscences can neither be transferred nor conquered.” A whole generation later, leading German historians declared (with Johan Huizinga, 1929) history to be “the form in which a nation, a people, a society gives account for itself.” Biography, reminiscences, group history, nation: Historical identity oscillates between concepts of individual and collective memory, bringing both together in order to constitute a consistent cultural identity. While the importance of generations and generational change for collective memories are well established topoi amongst historians, children and their experiences are probably the most neglected element in the historical view on the formation of cultural identity. Alfred Schütz also excluded “children and primitives” from his considerations. In Oral History, childhood traditionally plays an important role, but almost always as adults’ childhood memories. It seems that in the eye of historical research, children have no history and thus no historical identity. I learn about history mostly in school. I learn about history mostly from my family. I learn about history mostly from the internet and TV. History is important for me in order to know who I am. History connects me with my family’s home country. History connects me with Austria. I am proud of my history. Religion is important for me in order to know who I am. I want to live in a democracy. Women and men should have the same rights. I know a lot about the Holocaust. The children were asked to rate these statements from 1 (I strongly object) to 4 (I strongly agree), represented by big and small arrows pointing upwards or downwards. The survey was conducted in class and on paper. Demographic information (gender, age, immigrant background) was intentionally derived not from school databanks, but provided by the students themselves. Can historical identity be a subject in a questionnaire suited to children (most of whom have poor German language and reading skills)? If so, can the survey’s respective items be presented in an understandable way without producing imprecise and vague results? Will the children be willing to participate at all and be self-assured enough to give answers which possibly defy social expectancies? The answer to all three questions is “yes,” with one exception: Nearly all participants stated that they knew little or nothing about the Holocaust. Many left hand-written notes on the questionnaire informing me that they did not understand the statement at all. Since contemporary history is part of the eighth grade (fourth grade in Austrian terminology) history curriculum, most participants would not have had any formal Holocaust education as a part of their history classes in school (though this cannot be an argument against Holocaust education in other historical contexts and subjects other than history). However, though the children’s knowledge about history is not exclusively derived from school, a broad majority seems unaware that the topic even exists. This must be the subject of further study, but preliminary results already suggest that Holocaust education should be given greater priority in school. School is not the only source for historical knowledge, but clearly the most important one, whereas families only play a minor role. Religion is more important for the children’s identity than history. History builds a stronger connection with the home countries of the children’s families than with Austria even though the broad majority of participants – being second or third generation immigrants – are Austrian citizens. A strong historical identity does not necessarily constitute a sense of historical pride. Does this indicate a differentiated view on history? Questions like this can only be answered by producing a greater amount of more detailed data and by complementing quantitative research with in-depth qualitative approaches, thus addressing a research desideratum that is to be neglected at our own peril. After all, historical identities of immigrant children will be of utmost importance for future European societies. Georgi, Viola. Entliehene Erinnerung: Geschichtsbilder junger Migranten und Deutschland. Hamburg: Hamburger Edition, HIS Verlag, 2003. Hintermann, Christiane. “Geschichtsbewusstsein und Identitätskonstruktion in der Einwanderungsgesellschaft: Eine empirische Analyse unter Jugendlichen in Wien.” SWS-Rundschau 4 (2007): 477-499. Tschiggerl, Martin, and Thomas Walach, eds. Brennpunkte: Interviews zu Lebenswelten von Kindern in Wien. Wien: Ferstl & Perz, 2017. Wetzel, Juliane. “Erinnern unter Migranten: Die Rolle des Holocaust für Schüler mit Migrationshintergrund.” Bundeszentrale für politische Bildung, August 26, http://www.bpb.de/geschichte/zeitgeschichte/geschichte-und-erinnerung/39851/erinnern-unter-migranten (last accessed on 24 January 2019). The interviews conducted during the project Brennpunkte (see the publication by Tschiggerl/Walach above) can be accessed online: https://phaidra.univie.ac.at/view/o:526492 (last accessed on 24 January 2019). Historical thinking of 4 to 10 year-old children in the german-speaking, italian-speaking, and romanish-speaking parts of Switzerland. Online: http://www.historischesdenken.ch (last accessed on 29 January 2019). Alfred Schütz, “The Stranger: An Essay in Social Psychology,” American Journal of Sociology 49, no. 6 (1944): 502. Hartmut Bookmann et al., “Deutsches Historisches Museum in Berlin: Denkschrift von Hartmut Bookmann, Eberhard Jäckel, Hagen Schulze und Michael Stürmer für den Senator für Wissenschaft und Kulturelle Angelegenheiten des Landes Berlin vom Januar 1982,” in Deutsches Historisches Museum: Ideen – Kontroversen – Perspektiven, ed. Christoph Stölzl (Frankfurt a. M./Berlin: Propyläen, 1988), 61. Aleida Assmann, “Zur Kritik, Karriere und Relevanz des Gedächtnisbegriffs: Die ethische Wende in der Erinnerungskultur,” in Gedächtnis im 21. 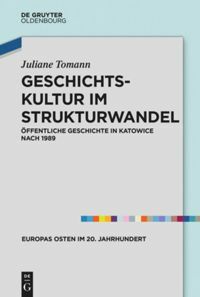 Jahrhundert: Zur Neuverhandlung eines kulturwissenschaftlichen Leitbegriffs, eds. Ljiljana Radonic and Heidemarie Uhl (Bielefeld: Transcript, 2016), 30-31. Alfred Schütz, “The Stranger: An Essay in Social Psychology,” American Journal of Sociology 49, no. 6 (1944): 499. Schule, Zeichnen © Coyot via Pixabay. 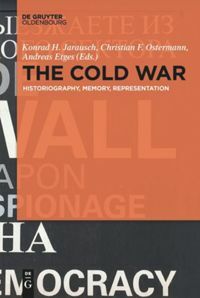 Walach, Thomas: Historical Identity and Migration. In: Public History Weekly 7 (2019) 3, DOI: dx.doi.org/10.1515/phw-2019-13256. Welche Rolle spielt Geschichte für die Identität von Kindern mit Migrationshintergrund? Im Oktober 2018 führte ich zu dieser Frage eine quantitative Vorstudie unter den Schüler*innen zweier Wiener Mittelschulen mit außergewöhnlich hohem Migrant*innenanteil (über 90 Prozent) durch. Mehr als 400 Schüler*innen im Alter von zehn bis 15 Jahren nahmen an einer anonymen Umfrage teil, die aus elf Aussagen zu historischer Identität und deren soziokulturellen Kontexten bestand. Haben Kinder keine historische Identität? In seinem 1944 erschienenen Essay “The Stranger” postulierte Alfred Schütz – selbst jüdischer Immigrant und entschiedener Fürsprecher der Vertriebenen aus seinem deutschen Heimatland –, dass der Mangel an gemeinsamer historischer Identität das größte Hindernis für echtes kulturelles Verständnis zwischen Einwanderer*innen und Mehrheitskultur bilde. Die Geschichte der Mehrheitskultur, so bemerkte Schütz, “has never become an integral part of [the immigrant’s] biography as did the history of his home group. […] Graves and reminiscences can neither be transferred nor conquered.” Eine Generation später erklärten führende deutsche Historiker (mit Johan Huizinga, 1929) die Geschichte zu jener “Form, in der eine Nation, ein Volk, eine Gesellschaft über sich selbst Rechenschaft ablegt.” Biographie, Erinnerung, kollektive Geschichte, Nation: Historische Identität oszilliert zwischen Konzepten individuellen und kollektiven Gedächtnisses. Sie führt beide zusammen, um eine konsistente kulturelle Identität zu konstituieren. Während die Bedeutung von Generationen und Generationenfolge für kollektive Gedächtnisse etablierte Topoi der Geschichtswissenschaft darstellen, sind Kinder und ihre Erfahrungen ein kaum beachtetes Element im historischen Blick auf die Formierung kultureller Identität. Auch Alfred Schütz schloss “children and primitives” aus seinen Überlegungen aus. In der Oral History spielt Kindheit traditionell eine wichtige Rolle, jedoch fast immer als die Kindheitserinnerungen Erwachsener. Es erscheint, als hätten Kinder in den Augen der geschichtswissenschaftlichen Forschung keine Geschichte und folglich auch keine historische Identität. Über Geschichte lerne ich vor allem in der Schule. Über Geschichte lerne ich vor allem in der Familie. Über Geschichte lerne ich vor allem aus Internet und Fernsehen. Geschichte ist für mich wichtig, um zu wissen, wer ich bin. Geschichte verbindet mich mit dem Heimatland meiner Familie. Geschichte verbindet mich mit Österreich. Ich bin stolz auf meine Geschichte. Religion ist für mich wichtig, um zu wissen, wer ich bin. Ich möchte in einer Demokratie leben. Ich finde, dass Frauen und Männer gleiche Rechte haben sollen. Ich weiß viel über den Holocaust. Die befragten Kinder wurden gebeten, diese Aussagen von 1 (Dem stimme ich überhaupt nicht zu) bis 4 (Dem stimme ich völlig zu) zu bewerten. Die Bewertungsmöglichkeiten wurden durch große und kleine Pfeile nach oben bzw. nach unten dargestellt, die Umfrage wurde im Klassenzimmer und auf Papier durchgeführt. Demographische Informationen (Gender, Alter, Migrationshintergrund) wurden absichtlich nicht aus Schuldatenbanken gezogen, sondern von den Kindern zur Verfügung gestellt. Kann historische Identität Thema eines kindgerechten Fragebogens sein (wobei die meisten befragten Kinder über schlechte Deutschkenntnisse und Lesekompetenz verfügen)? Falls ja, können die einzelnen Items in verständlicher Art und Weise abgefragt werden, ohne dass unpräzise und vage Resultate produziert werden? Werden die Kinder überhaupt bereit sein, an der Studie teilzunehmen und selbstbewusst genug sein, allfällige soziale Erwartungen hintanzustellen? Die Antwort auf alle drei Fragen ist „Ja“, mit einer Ausnahme: Fast alle Teilnehmer*innen gaben an, wenig oder nichts über den Holocaust zu wissen. Viele hinterließen handschriftliche Nachrichten auf dem Fragebogen, in denen sie mitteilten, dass sie die Aussage überhaupt nicht verstünden. Da Zeitgeschichte erst in der achten Schulstufe Gegenstand des österreichischen Geschichtsunterrichts ist, hatten die meisten der befragten Schüler*innen noch keine Holocausterziehung im Rahmen des Geschichtsunterrichts erhalten. (Das kann jedoch kein Argument gegen Holocausterziehung in anderen Kontexten und anderen Schulfächern sein.) Obwohl das Geschichtswissen der befragten Kinder nicht ausschließlich aus dem Schulunterricht stammt, scheint einer großen Mehrheit selbst die bloße Existenz des Themas nicht bewusst zu sein. Das muss Gegenstand weiterer Forschung sein; vorläufige Ergebnisse legen nahe, dass der Holocausterziehung an Schulen größere Bedeutung eingeräumt werden sollte. Schule ist nicht die einzige, aber bei weitem die wichtigste Quelle für Wissen über Geschichte, während Familien eine untergeordnete Rolle spielen. Religion ist für die Identität der Kinder wichtiger als Geschichte. Geschichte erzeugt eine stärkere Verbindung mit den Herkunftsländern der Familien als mit Österreich, obwohl die meisten der befragten Kinder als Migrant*innen zweiter oder dritter Generation österreichische Staatsbürger sind. Eine starke historische Identität schlägt sich nicht notwendigerweise in Stolz auf die eigene Geschichte nieder. Ist das ein Anzeichen für einen differenzierten Blick auf Geschichte? Fragen wie diese lassen sich nur beantworten, wenn mehr und detailliertere Daten produziert und quantitative Forschungen mit tiefgehenden qualitativen Methoden ergänzt werden, um so ein drängendes Forschungsdesiderat anzusprechen. Schließlich wird die historische Identität von Kindern mit Migrationshintergrund von entscheidender Bedeutung für die Zukunft europäischer Gesellschaften werden. Wetzel, Juliane. “Erinnern unter Migranten: Die Rolle des Holocaust für Schüler mit Migrationshintergrund.” Bundeszentrale für politische Bildung, August 26, http://www.bpb.de/erinnern-unter-migranten (letzter Zugriff 24. Januar 2019). The interviews conducted during the project Brennpunkte (see the publication by Tschiggerl/Walach above) can be accessed online: https://phaidra.univie.ac.at/o:526492 (letzter Zugriff 24. Januar 2019). http://www.historischesdenken.ch (letzter Zugriff 29. 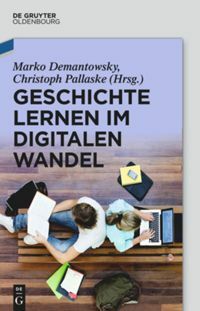 Januar 2019). Walach, Thomas: Historische Identität und Migration. In: Public History Weekly 7 (2019) 3, DOI: dx.doi.org/10.1515/phw-2019-13256. Seine Proband*innen haben eine Altersdifferenz von fünf Jahren. Entwicklungspsychologische Unterschiede werden ebenso wenig berücksichtig, wie ihre Heterogenität, was sprachliche, religiöse oder kulturelle Erfahrungen in vielfältigen Räumen betrifft. Ausgehend von der Definition der Statistik Austria: “Als Personen mit Migrationshintergrund werden hier Menschen bezeichnet, deren beide Elternteile im Ausland geboren wurden. Diese Gruppe lässt sich in weiterer Folge in Migrantinnen und Migranten der ersten Generation (Personen, die selbst im Ausland geboren wurden) und in Zuwanderer der zweiten Generation (Kinder von zugewanderten Personen, die aber selbst im Inland zur Welt gekommen sind) untergliedern.” erschließt sich keine eindeutige Begriffsdefinition, wenn in der Ergebnisformulierung von “Kinder(n) als Migrant*innen zweiter oder dritter Generation” gesprochen wird. Hier wäre es also relevant, sich überhaupt mit Definitionen von “Migrationshintergrund” auseinanderzusetzen, um das Sample (und eine Vergleichsgruppe aus Autochthonen) darzulegen. Als Forschungsausgangspunkt, um historische Identität zu beschreiben und zu operationalisieren, bezieht er sich auf Alfred Schütz (1944) und Johan Huiziga (1929), anstatt auf den aktuellen Forschungsstand Bezug zu nehmen. Seine Wahl – so der Leser*inneneindruck wird mit der Bemerkung, “selbst jüdischer Migrant” zu sein, begründet. In den weiteren Ausführungen zu Identität wird die Vorstellung einer “gemeinsamen historischen Identität” von “Einwander*innen” als Hindernis für “echtes kulturelles Verständnis” beschrieben. Damit spiegelt sich eine “natio-ethno-kulturelle” Konstruktion von Zugehörigkeit wider. Nation wird als ethnisches Kollektiv verstanden. Diese Konstruktion von Kindern mit Migrationshintergrund als Andere wird zur Praxis der Differenzierung und Wertung von Zugehörigkeit. Zu- bzw. Nicht-Zugehörigkeit wird zur Prämisse des Untersuchungsansatzes und zeigt sich in den formulierten Items. Die gestellten Fragen spiegeln bekannte Stereotype und Topoi wider, die vornehmlich in Verbindung mit Personen mit muslimischem Migrationshintergrund auftreten. So z.B. in der Frage zur Gleichberechtigung der Geschlechter. Typisch ist auch die die Abfrage von Holocaust-Kenntnissen als historische “Eintrittbillets” in die deutschsprachige Erinnerungskultur. Jüngste Studien zeigen indes, dass Jugendliche mit fehlendem Migrationshintergrund große Defizite in ihrem historischen Wissen über den Holocaust aufweisen. Die formulierten Ergebnisse resultieren aus unspezifischen Fragen. Aktuelle Studien zu Geschichtsbewusstsein und Identität bei Jugendlichen mit einem sogenannten Migrationshintergrund zeigen, dass das außerschulische Umfeld und die Familie sehr wohl historische Narrationen im kommunikativen Gedächtnis tradieren und prägen. Dies gilt ebenso für die religiöse Selbstnarration, die gepaart mit einer Diasporanarration zur Kompensation der Desintegration und Distinktion durch die “Dominanzkultur” (Diasporakomplex) zum Identitätsanker werden. Der Autor bezeichnet Kinder als Migrant*innen, die selbst keine Migrationserfahrung gemacht haben, in Österreich geboren, aufgewachsen sind und die Staatsbürgerschaft besitzen. Dadurch reduziert er sie auf die Migrationserfahrung der Eltern und/oder Großeltern. Noch verwirrender wirkt die Formulierung im vierten Ergebnis: “Eine starke Identität schlägt sich nicht notwendigerweise in Stolz auf die eigene Identität nieder.” Hier kulmuniert die eingangs formulierte Kritik an der definitorischen Unklarheit der Begrifflichkeiten, denen es an forschungsaktuellen geschichtstheoretischen Grundlagen fehlt. Identität ist die wichtigste Funktion historischen Denkens. Geschichtsbewusstsein in der Gesellschaft muss als Geschichtsbewusstsein in Diversität zur Erweiterung der historischen Identität befähigen und nicht dazu, durch traditionales historisches Erzählen (allein) Kontinuitäten und Abstammungsvorstellungen in “Wir” und “Nicht-Wir” zu perpetuieren, der den Zusatz “mit Migrationshintergrund” zum Stigma der Exklusion und Rassifizierung macht. Um hier zu validen Forschungsergebnissen zu kommen, sollte vielleicht ein Vergleich mit Schulen im ländlichen Bereich angedacht werden, wo der Migrant*innenanteil niedriger ist. Aus meiner Arbeitspraxis (Maturavorbereitung, Lehrlinge zwischen 15 und 19 Jahren, hauptsächlich Native Austrians) weiß ich, dass die kulturelle und historische Dimension in der Identitätsbildung auch in dieser Gruppe wenig vorhanden ist. Diese können sich jedoch nicht auf tradierte Vorstellungen aus der Herkunftsgesellschaft der Familie stützen. Und auch hier ist das Wissen zum Holocaust bzw. generell das Geschichtswissen erschreckend gering. Offensichtlich verzichtet hier der Staat durch das Fehlen der Vermittlung von profunden Geschichtskenntnissen auf die Möglichkeit, Identitätspolitik zu betreiben, was gerade bei Jugendlichen mit Migrationshintergrund dazu führt, dass sie sich an althergebrachten Vorstellungen historischer, kultureller oder religiöser Natur orientieren. « Are Public Historians “Missionaries”?